Today’s Guest: Jeff Keane, daily cartoonist, Family Circus. 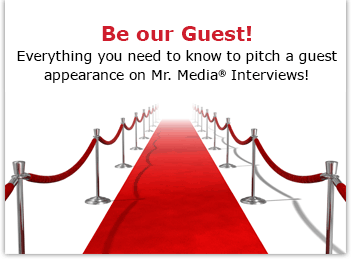 Mr. Media is recorded live before a studio audience of men and women who will be pausing for a moment of silence every time my guest answers a question… in the NEW new media capital of the world… St. Petersburg, Florida! We all know where we were when the attacks of 9-11 took place. I was here at my desk, working on a new book, The Today Show playing in the background. I stopped what I was doing for days. The President of the United States, of course, was listening to elementary school students about an hour south of me read a book about a goat, in Sarasota, Florida. An aide whispered the news in his ear, a quizzical expression came over his face, and he returned to finish learning about the goat. It seemed like we would never laugh again. Except about that goat story. WTF? It fell to the professional funny men and women among us to reestablish the nation’s funnybone. Late night talk show host David Letterman is often credited with deciding it was time to go back to work and tell jokes. But truly, morning radio’s Howard Stern worked through the event calming nerves in New York City and returning to work on September 12th and every day after that. Order ‘The Family Circus’ by Bil Keane, available from Amazon.com by clicking on the book cover above! And thanks to their habit of working weeks ahead, America’s daily cartoonists never missed a beat. Their gags still appeared in most newspapers and eventually they began peppering their work with respectful references to the tragedy at the World Trade Center and the Pentagon. Now, on the 10th anniversary of the event universally recalled as 9-11, nearly 100 comic strip creators are joining forces this Sunday to pay tribute to a day that has become as painful in modern American history as Pearl Harbor Day was for the World War II generation. “Cartoonists Remember 9/11” will bring together cartoonists and the many syndicates that distribute their work this Sunday, September 11, 2011, for a common purpose. Joining me today to preview the cartoonists’ salute is Jeff Keane. 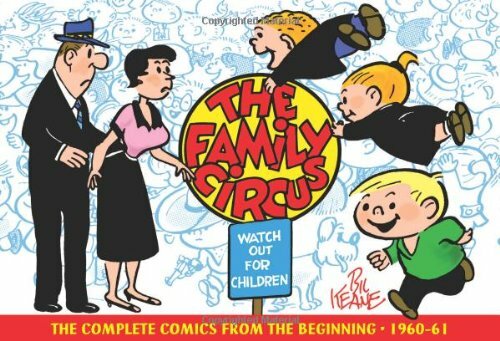 Jeff is now in charge of creating “Family Circus,” the cartoon his father Bil started in 1960. He still seeks out his fathers’ invaluable guidance and advice that is a key to keeping the feature a favorite for readers of all ages. And he has been deeply involved in the Cartoonist Remember 9/11 event – and keeping “Pearls Before Swine” cartoonist Stephan Pastis in line. Two months later, it has been brought to my attention that I spelled Bil Keane’s name with one two many ls. Damn!